For Maurice Roussety, franchises for ambitious leaders are one of the essential components for a successful and sustainable economy. Indeed, when it comes to making a franchising business truly profitable, financial and marketing expert Dr. Maurice Roussety knows exactly the methodologies and strategies that need to be implemented. Dr. Roussety studied Economics and Accounting at Monash University, and holds a Master of Business Administration and a Master of Leadership from the University of New England in New South Wales. 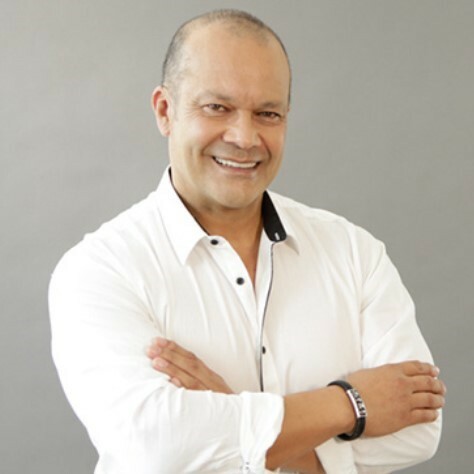 Throughout his life, Dr. Roussety has proved himself one of the most renowned business analysts and strategists in Australia. Moreover, he has been consulted by some of Australia's premier brands, including Westpac, Optus, IAG, ACCC, Australia Post, and Coles Myer. And to each has significantly added to their net worth. Antoine Maurice Roussety strongly believes that in terms of business success, many people look at the numbers and statistics that outline a company or organization’s revenues, assets, profits, and growth. While of course these numbers are important, assessing the true value of a business is actually far more complex, especially in cases when a business unit is sold or changes ownership. Why is it that two seemingly identical businesses sell for different amounts or are valued differently? The answer lies in evaluating the goodwill associated with each business. Goodwill in business, specifically in franchise-operated companies, is something about which Dr. Roussety has extensive knowledge. Franchising is a highly refined business model in Australia, and many franchise models comprise a blend of innovative structures that inevitably create contractual and relational complexities. One of these complexities is the significance of goodwill in franchise-operated businesses. In general terms, goodwill is defined as the benefit and advantage of the good name and reputation of a business - the driving force behind attracting and retaining customers. Goodwill plays a key role in franchising business arrangements, since a well-recognized and reputable trademark can become a business asset of immense value. In franchising, a franchisor can create goodwill by building a successful brand through marketing plans and good advertising practice and innovation. The successful brand can then be utilized by all franchisees to further enhance the goodwill and, hopefully, add value to the network of the business. In this sense, brand development is one of the most important strategies for gaining and promoting a high level of goodwill. Goodwill can also be protected by obtaining a trademark registration for the trading name or style and logos of the franchise, as well as the artistic work that goes along with the company’s brand. In a research paper, Dr. Roussety conducted extensive research that has greatly contributed to stimulating interest in the development of economic models for the valuation of goodwill for franchisee-operated businesses.